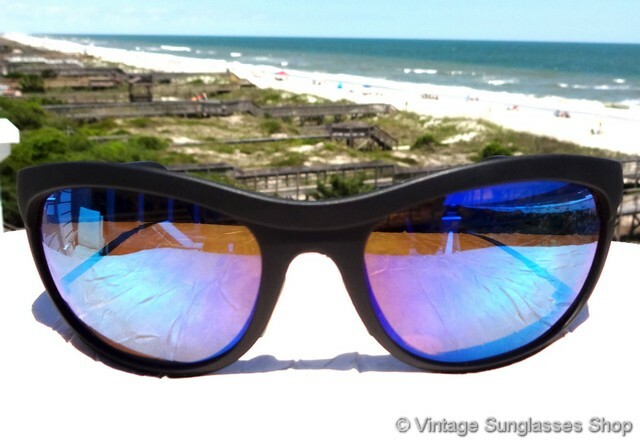 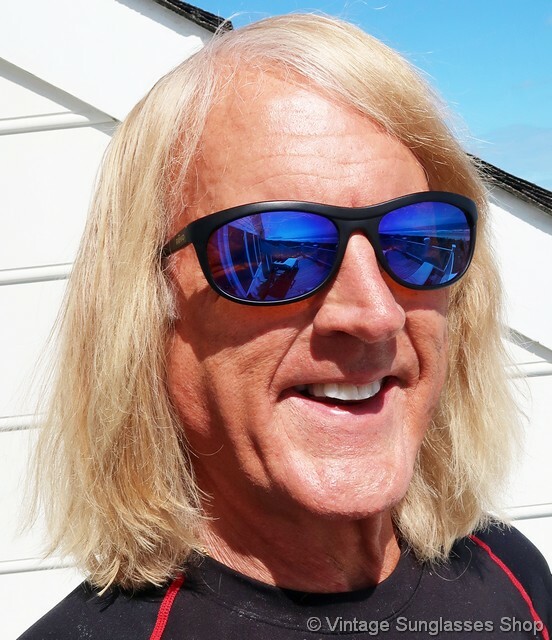 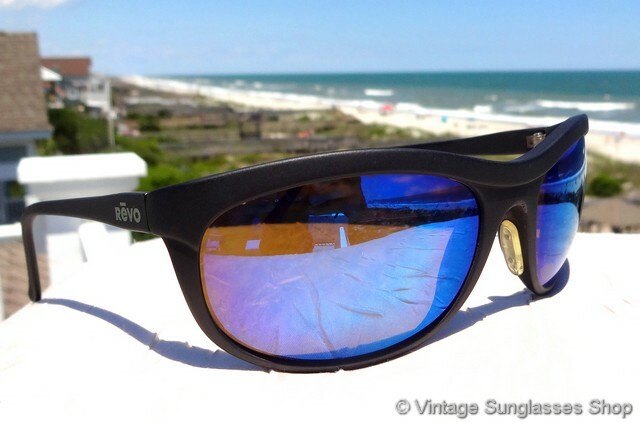 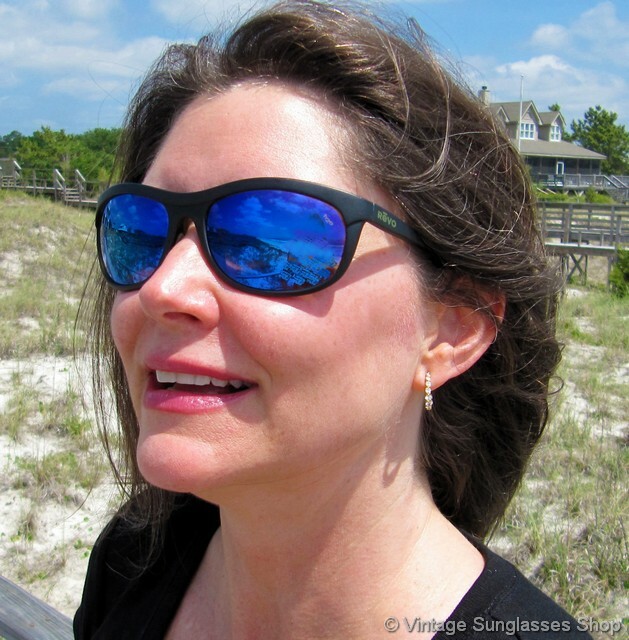 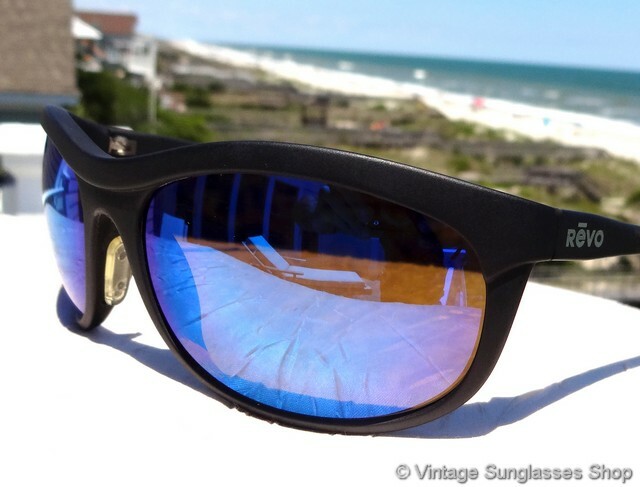 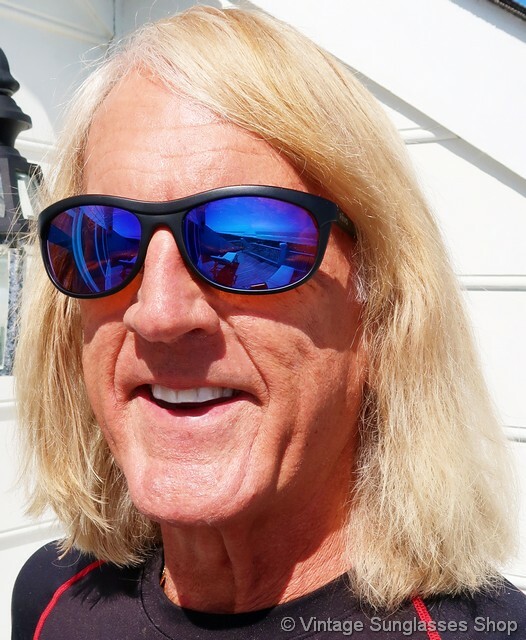 1 Vintage Revo 870 001 Executive Wrap sunglasses are an icon of 1980s and 1990s sunglasses design featuring a matte black composite frame and Revo's amazing blue mirror H20 polarized lenses that also pick up plenty of hues of purple and red out in the sunlight. 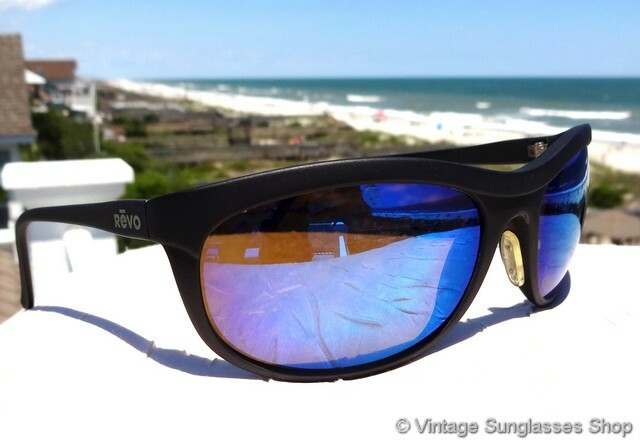 The subtle wrap design gives added glare protection which along with the unparalleled Revo optics pioneered in the NASA space program made Revo 870 sunglasses popular with professional and amateur athletes alike. 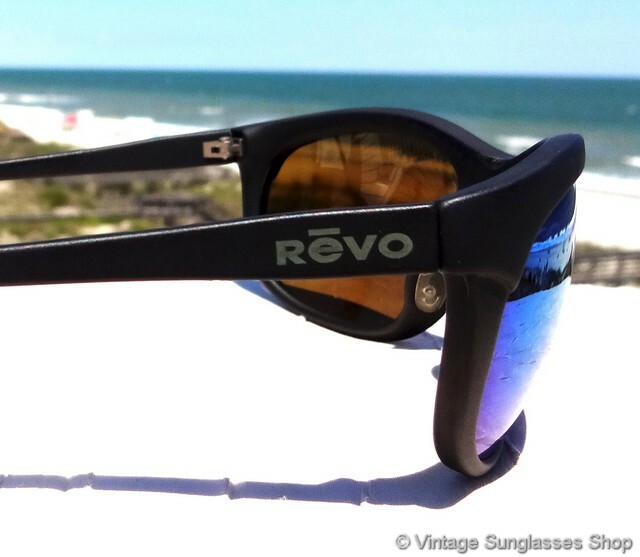 You'll find the Revo logo embossed on the exterior of both ear stems, and the nose pads are integrated into the frame to maintain a clean look. 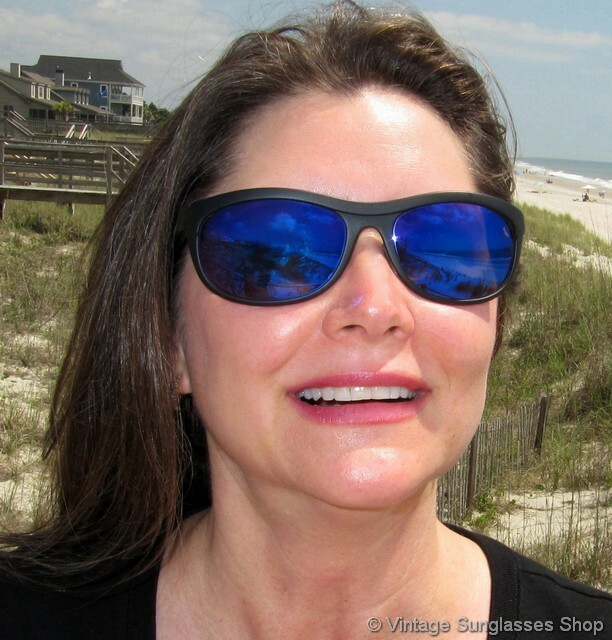 The unisex Revo 870 frame is lightweight yet durable and measures approximately 5.5" temple to temple with blue mirror h20 lenses measuring approximately 2.25" x 1.5" at the widest points and left lens laser etched H20 to indicate Revo's advanced polarization. 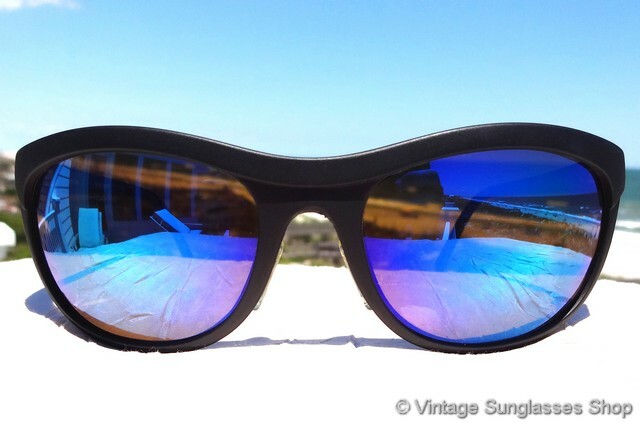 The inside of one ear stem is marked 870/001 CE Frame France, part of the collection of a well known sports figure and long time customer of the Vintage Sunglasses Shop. 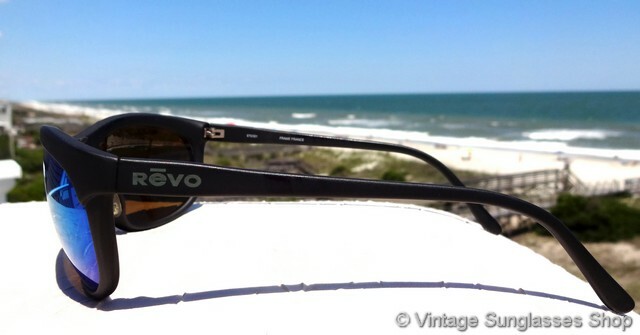 2 Identical in size, shape, and appearance, these vintage Revo 870 001 Executive Wrap sunglasses have (non-H20 polarized) Revo blue mirror lenses. 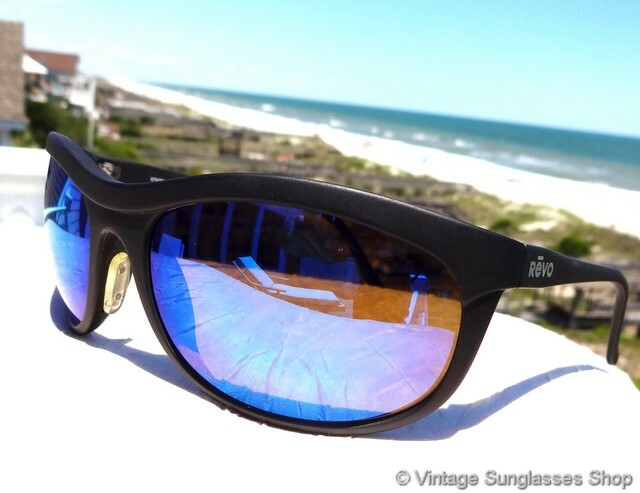 It's debatable and a matter of personal preference whether one wants polarization in a Revo mirrored lens - you read about the tradeoffs here. 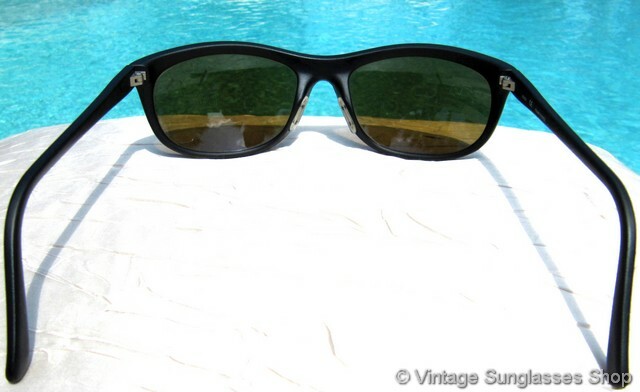 Frankly most of us here at the Vintage Sunglasses Shop carry around both. 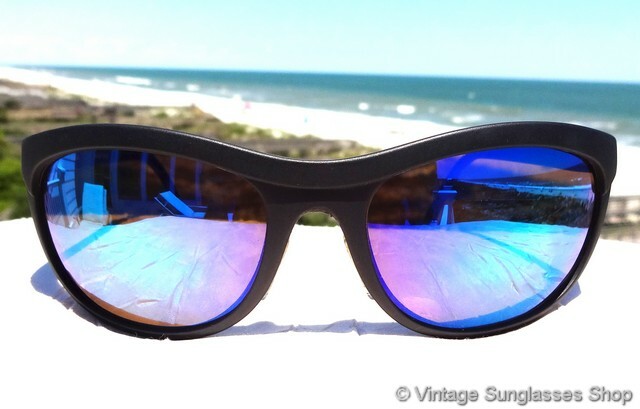 2A Step up another level beyond our already unequaled vintage condition standards with new old stock Revo 870 001 Executive Wrap blue mirror sunglasses in mint, unworn condition.